Heerlen is a Municipality and city. It is in the south east of Holland and it is part of the Province of Limburg. It is a large conurbation, with a population of around 220,000. but it is in line to get even larger. Heerlen is a part of a new city called Parkstad Limburg. Working together with other cities and towns, such as, Kerkrade, Nuth, Landgraaf, Onderbanken, Brunssum, Simpleveld and Voerendaal, to form what is to be known as a “Project City”. There is good archaeological evidence that the area of Heerlen was first settled over 5,000 years ago. Little is known about them other than where they lived. The history begins to be properly known after the Romans settled, and established an army base. There have been a great deal of finds from the period and also many buildings, such as the place of the bathhouse have been found. A museum has been built over the area of the bathhouse, it also contains lots of other roman artifacts. It is not until the 11th century that the name Heerlen is first mentioned in a record of some gifts of lands and chapels, as was not unusual at the time when the Bishops held great power. Soon after it seems to have changed hands to the counts of Ahr-Hochstade. It is likely that the counts of Are were the ones who ordered the building of the church of St-Pancratius and a castle with a moat. In the mid 13th century Heerlen was administered by the Dukes of Brabent, in1388 it was separated with Hoensbrook. Heerlen changed hands several different times during the war between the Spanish and the Dutch Protestants, that came to be known as the 80 years war. In the 1661 treaty, Heerlen was made part of the Dutch Republic, although it was still too close to the border with Spain for comfort. Then at the end of the 18th century the French occupied Heerlen, then when Napoleon was beaten in 1814. Heerlen was made part of Limburg, but it took the side of Belgium in the revolution, and lost but 9 years later it was agreed that it should be a part of the Netherlands. In the 1800’s when much of Europe was experiencing the industrial revolution Heerlen took no part in it and remained mostly agricultural until later in the century when coal was discovered. Heerlen got its first railway in 1896 to transport the coal. Still Heerlen was slow on the uptake and it was not until the turn of the century when the government set up the State mines, that the population quickly increased due to all of the extra work that was available. The mines and the city quickly expanded and was prosperous through the 20th century until the 1950’s when with the advent of cheaper coal from abroad, by the mid 1970’s the works had shut down totally. A total of 60,000 lost their jobs and despite Government initiatives to bring work to the area, it is still not what it was. There are four train stations in Heerlen, but the main one is in the middle of the city. There are good connections from Heerlen. The train from Aachen Hbf is every half hour and there are good onward connections from there. To arrive from Amsterdam or Schiphol Airport, take the train to Utrecht, then quickly make your way to platform 15 and get the Den Bosch train and get off at Heerlen. The journey should take around 2 and a half hours and the trains go every 30 minutes. There is an international bus that runs from Aachen to Heerlen. 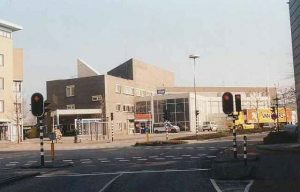 The bus station in Heerlen is at the back of the train station. There are plenty of buses in Heerlen, and you should have no trouble getting to your destination. If you need advice, just ask at the bus station. You will also need a chipcaart to pay on public transport. You just buy a card, load it up with credit and it will automatically deduct the correct fare when you travel. Maastricht-Aachen Airport is only about 15km from Heerlen, but it might be easier to fly into Eindhoven for it’s better transport links with the city. If you are arriving from an international flight, then you are probably better to fly into Amsterdam Schiphol which is 2to3hours from Heerlen. The Dutch Mine Museum is actually a lot more interesting than you might think.The whole system that it took to get the miner to the coal and the coal to the surface is quite fascinating and made all the more real by the fact that it is real miners taking the trip and telling the stories of working in the pits. Thermenmuseum is a really good museum dedicated to the protection of the Roman baths and also having some great displays of antiquities as well. It’s definitely worth a visit. 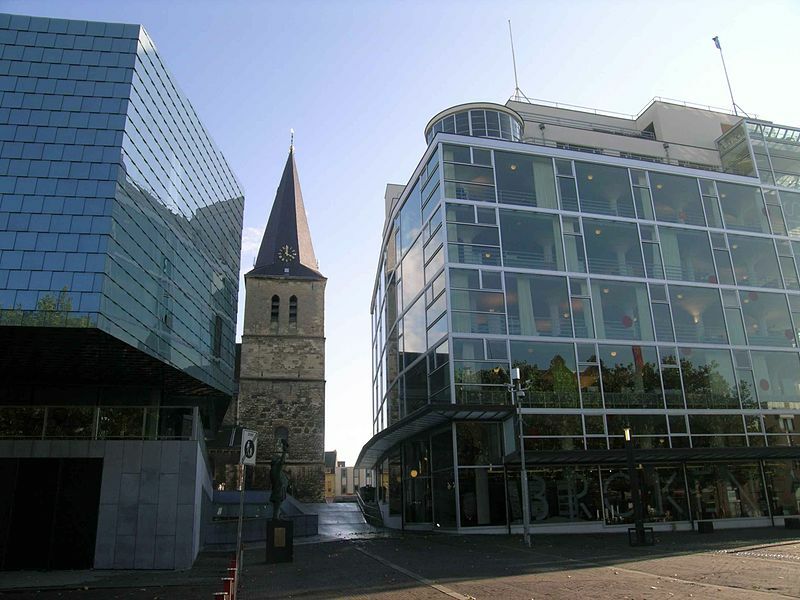 Heerlen Centre is a great shopping centre in the old town area of the city. It has big shops, but it has plenty of small independent ones too. Whatever you are looking to buy, you should find it here. Hoensbroek is another good shopping centre in the north of the city, not quite as eclectic as some of the shops in the Heerlen centre, but a great place to shop. Samos is a great Greek place to eat. you get friendly staff, excellent food and plenty of it. A cosy place but good fun too, you could have a really good evening here. Rimis with its great city centre location serves good honest food stylishly presented. It has a wonderful atmosphere and the whole evening is just a great experience. Although a little industrial, Heerlen has a lot to offer the traveller, from beautiful castles and gardens to great food and really good shopping, Heerlen has it all covered.